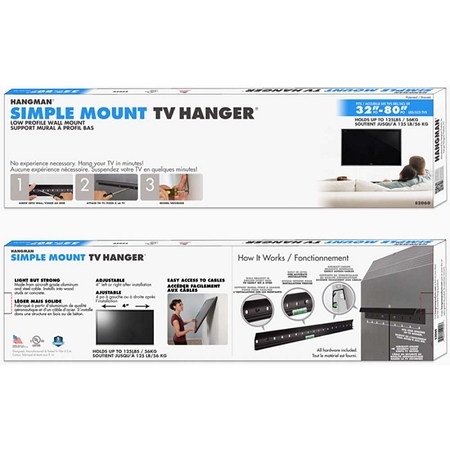 Hangman Simple Mount TV Hanger installation. 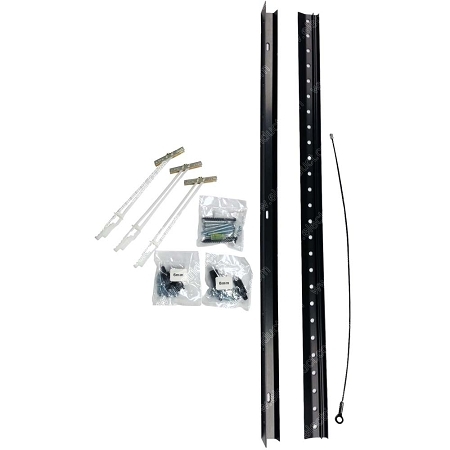 Using the patented interlocking aluminum brackets in combination with supporting hardware, mounting flat screen TV's ranging in size from 32" to 80" to almost any wall can be done in minutes. 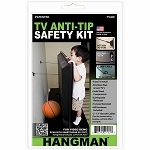 This TV hanging kit is UL Rated to hold 125 lbs. using the supplied stud screws and anchors. 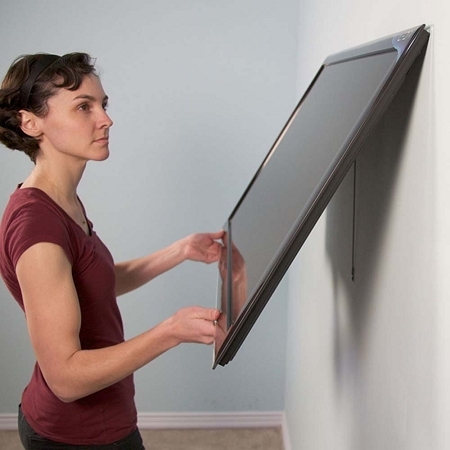 Able to adjust left or right up to 4" so you can fine tune you TV placement and security cable prevents any accidents. 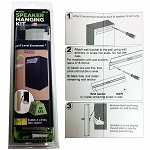 Click the Video tab to see installation instructions.